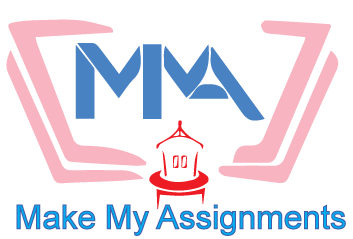 Make My Assignments SamplesHome » What is the Impact of Legislation, Charters, Codes of Practice on Communication Processes? Legislative protection has been a strong part of health care institutions, especially where patients’ records are kept for long term record keeping. The Data Protection Act (1998) is one of the first legislative practices in the workplace that protects the confidential records of patients (The National Archives, 2012, pp. n.d). The information attained by professionals cannot be handed over to a third party without express consent of the patient, under this act. It is an excellent way to promote good practice. Furthermore, humane treatment of patients is one of the fundamental aspects of health and social care. This is something that is monitored quite extensively as well, and if it is found that privacy and dignity of a patient is not being respected, strict action can be taken against institutions. The Equality Act (2010) has come in handy in this respect, allowing for basic human rights such as freedom of speech and choice to be respected. Before trainees are hired as full time staff, management sends them for induction where they are trained about the fundamental aspects of their job before being allowed contact with patients. Equality refers to creating a fair society in which every individual can participate and is provided with the impetus to fulfil their potential (Thomas, 1991, pp. n.d). In terms of health care, equality implies to having an equal access to health care. It also implies that no discrimination should be practiced in providing health care services. The patterns of group identity should remain similar and everyone should be able to acquire quality health care services. People from minority ethnic groups should share a similar access to health care as the citizens of the country. Ensuring equality in healthcare access would certainly induce prosperity in the society and would instill a feeling of security in their social identify regardless of their age, race, religion or culture. In terms of health care, serving a diverse population involves catering the healthcare needs of people from different ethnicities, culture, race and religion. It indicates that the health care plans and services should be developed in a manner that they cater to the diverse population in a country and are not specific to a particular race, religion or ethnicity (Kandola & Fullerton, 2000, pp. 1). Today’s contemporary world has become a melting pot and people from different cultures and values live together. The governmental plans and regulations should be developed in a manner that they are not biased to a diverse population. The access, acquisition and follow up of medical services should be uniform for the population. Confidentiality in healthcare refers to “the communication between the patient and the healthcare provider”. As per the Standards for Privacy of Individually Identifiable Health Information the communication is meant to be private and healthcare professionals can only share the patient’s personal information when needed for the treatment. The element of confidentiality includes other healthcare professionals as well i.e. nurses, therapists etc. (Akinbami, Gandhi & Chen, 2009, pp. 394). [Locker] The locker [id=8177] doesn't exist or the default lockers were deleted. It should be noticed that the above mentioned legislations include healthcare facilities as provisions. The above mentioned Acts cover a broad range of citizen rights, i.e. employment, service delivery, equal healthcare opportunities etc. In the United Kingdom, the majority of health care services is regulated by the NHS. It includes initial care, inpatient services, long-term health care, dentistry and ophthalmology. The Health and Social Care Act 2012 issued by the parliament of the United Kingdom is an act which is actually a reorganization of the structure of the National Health service in England. The aim of this act was to abolish NHS primary care trusts (PCTs) and Strategic Health Authorities(SHAs). The prevalence of private health care has flourished along with the NHS. The private health care is mostly funded by private insurance companies. Only a limited segment of the population around 8% acquires its healthcare services from private insurance companies. The National Health Service in United Kingdom is largely maintained from the taxation of the government. The Secretary of State for Health is responsible for overseeing the access, issues and relevant improvisations in access to health care. A major chunk of the expenditure of the department of Health is spent on the maintenance of NHS and its affiliated programs for better healthcare. Policies and procedures are also present in health and social care and are strictly adhered to. Unqualified members of staff are not permitted to disclose any information unless a senior staff member is present. These policies vary from one institution to another, but essenti0ally they are set in place to protect the rights of patients and ensure no manhandling takes place that might further damage their fragile states. One commonly practices policy is to make sure a performance review is conducted every other month, to judge the progress of healthcare professionals and their progress in competency with patients. A good personal development review can, in this way, promote an employee to a higher position and so on. With the legislation, charters, codes of practice it is not possible to maintain a healthy communication in the organization. Each staff member is expected to follow the said rules and codes in the organization. In that case it would not be possible to communicate with others while following the codes set by the organization. For instance if there is an emergency case in the health care unit and the unit has set legislations to get some forms and applications filed before the treatment, there may be chances of delay in treatment. Whereas instead of following any of those formalities the staff could have communicated with the upper authority and have started the treatment. Moreover if the staff is asked to follow a set communication chain then it would be very hard to maintain a healthy communication. For example many staff members are ordered not to disclose any information to anyone in the absence of any senior staff member. In that case the staff member is helpless if the senior staff member is unavailable or absent especially in the case of emergency. Should There Be Charges For Certain Appointments And Treatments On The NHS?